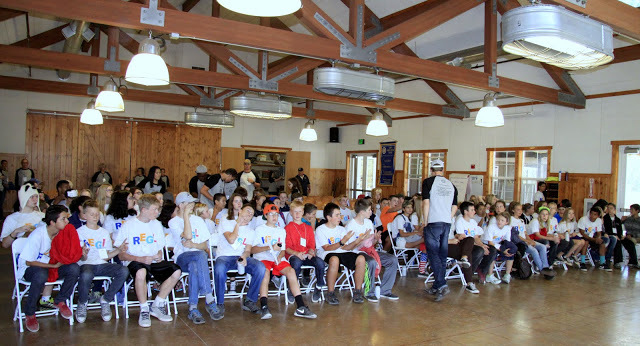 Six eight grade students from Ione Middle School were graduated Sunday from Rotary’s Eight Grade Leadership Camp (REGL) held annually at Grizzly Creek Ranch near Portola, CA. 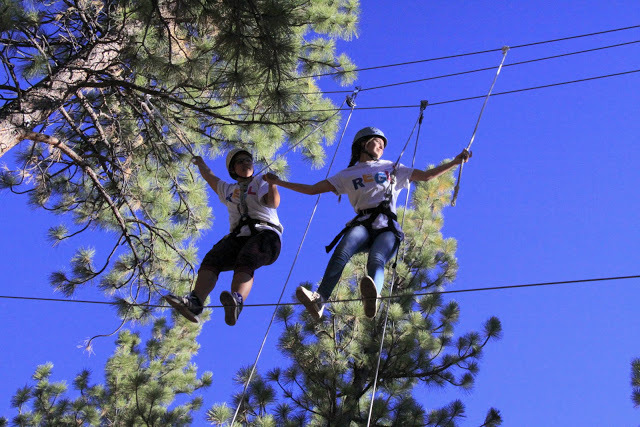 Each year 5 to 10 students are selected by their teachers and principals to attend a three day session of classes, and outdoor activities designed to build confidence, self-esteem, and trust in others. This year the Rotary Clubs of Ione, and Plymouth Foothills pooled their financial and human resources to underwrite and help staff this event. 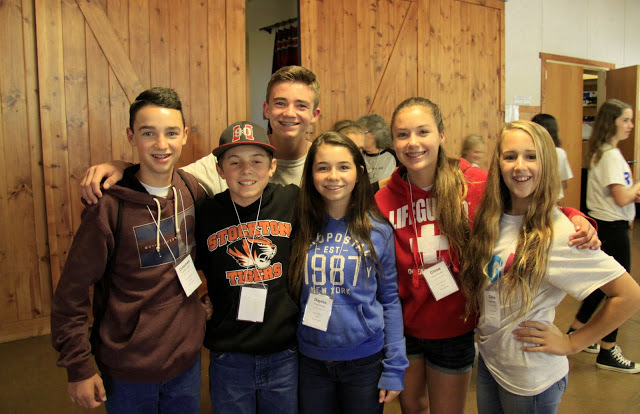 Within minutes of arrival students are pair with total strangers and begin a journey of change; first talking of their favorite music, sports, dances, clothes and finally exchanging life stories. Within hours they feel confident and trusting enough to stand up in front of 100 of their peers and counselors and talk from their hearts about their fears and aspirations for the future. From 9:00 AM to just after 6:00 PM mental concentration and physical effort are followed by some strenuous dancing to “Cotton Eyed Joe” and then dinner. From 7:00 PM to 10:00 PM they were in and out of their small groups each time discussing solutions to a question proposed by the trainers. This training is intense but they get up Sunday morning and happily start all over again. What the observer sees is a metamorphosis’ in each of them that gives one hope for our future. Graduation starts at 3:00 on Sunday and the parents are always astounded as they enter the room, to the welcoming throngs of cheers from these young leaders, who are now ready to go home and eagerly clean their rooms; because for the grace of God they have a room to clean!